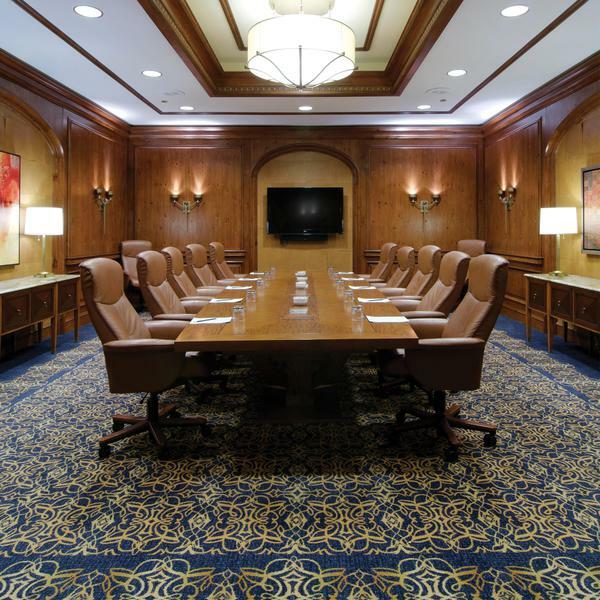 Nestled in the heart of Arizona, The Ritz-Carlton, Phoenix hotel features deluxe guestrooms, spacious suites and more than 20,000 square feet of conference space. Brintons were commissioned by Monogram at BBGM to design the public space and pre function areas of this prestigous hotel. 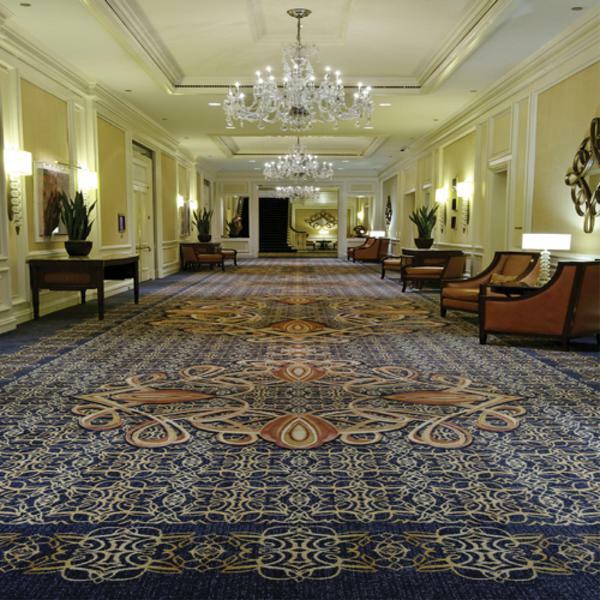 These carpets were realized using the unique and revolutionary 24 color Brintons High Definition Weave technology. Development began with a stylized wire scrollwork medallion to which multi-layered textures and fine detail were added to give a rich patina and depth to the designs. Derived from the motion of a desert vortex spiraling against the purity of Arizona’s desert blue sky, the design for the Ritz Carlton Phoenix Ballroom captures the dynamic nature of its local setting. The palette of this custom carpet is inspired by the soothing natural tones of the desert landscape married with the intensity of Phoenix’s urban setting, creating a visual experience that is uniquely animated, yet refined. 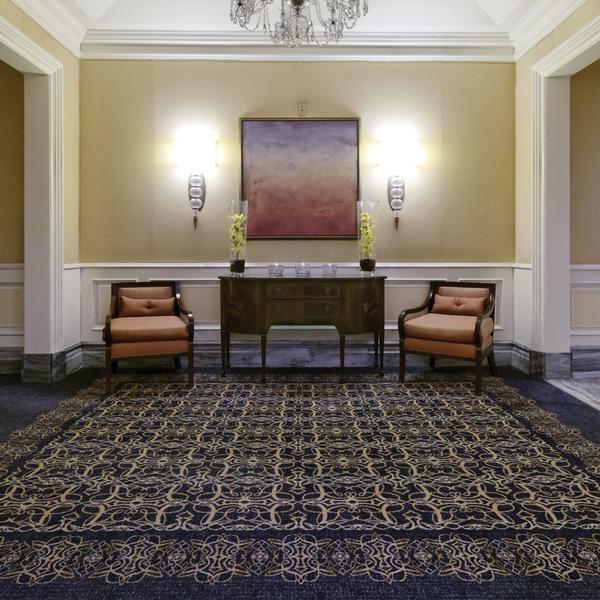 In collaboration with Brintons’ talented team, we were able to seamlessly go from concept to creation, crafting a custom carpet that responds to the refined taste of even the most discerning Ritz Carlton guest.